Here at Brightway, The Stoneking Agency our mission is to provide the best insurance-buying experience and service available. For us, that means being trusted industry experts in the community and providing you with the most choice in insurance companies. Our team is led by Jeff Stoneking, an agent committed to making himself personally available for his clients throughout the entire insurance process—from quote to purchase to claim. His mortgage background gives him unique expertise about real estate transactions, which can help the entire new home/insurance policy-buying process go much smoother. 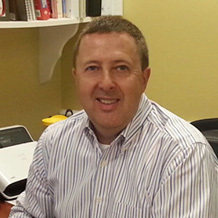 After 15 years in the mortgage industry, Jeff began his insurance career as a Brightway Agency Owner in 2009. Jeff is active with the Northeast Florida Realtors Association and the Realtor Political Action Committee. And, he’s a board member of Best Buddies, an organization made up of individuals dedicated to creating opportunities for people with intellectual and developmental disabilities. A resident of Jacksonville since 2000, Jeff has a bachelor’s degree from Central Missouri State University. He has been married for 24 years, is the proud father of a teenage daughter, and an avid sports fan who enjoys boating and fishing.